With the ever-rising number of middle and higher-level learning institutions and consequently the ever-mounting number of unfortunately, mostly half-baked graduates, its time the jobless youths embrace the exceptional and alluring girth of the internet. Not only can it serve as a platform of availing the next meal on the table but also serve as an avenue of a much promising job-prospecting tour a day after tomorrow. It is estimated (according to private and public sources) that close to forty thousand fresh graduates usually join the job market in Kenya annually. Out of this, only one in ten thousand is sure to secure a meaningful employment either in the public or private sector. Worse, a good chunk of these fresh and brilliant minds have overtime nursed obsessive fantasies of ending up in a palatial and executive office as some manager or C.E.O and earning five or six figures. Inevitably, after a never-ending torturous trot in the job seeking avenue, such once enthusiastic characters are hard-hit by naked reality. They are distraught, bitter, vehemently shaken and in the end, they are bound to lose hope. Truth is our learning institutions are hardly practical-oriented but rather theory-oriented money-collecting centers. All a good number of them care about is the huge salaries and remunerations of its tutors and lectures and handsome figures of would-be unemployed youths in their lecture-halls. Many a graduate is therefore sure to leave college armed with a vulnerable tenacity and a not-so-sure vision of their tomorrow. After realizing that no job is forthcoming any time soon, a majority of them usually found soothing consolation over the social media. They are the common folks crammed in our cyber cafes, indoors, Wi-Fi Hot-spots and so on and so forth. Their work 24/7 is to update their status, send as many as possible friend requests to would be ‘mates’, chat with every available strange and gorgeous buddy online and hull unprintable insults at the slightest provocation to vent their pent up frustrations. What most Facebook and Twitter die-hard addicts are not aware of is the fact that the internet can be their timely savior in many ways. Internet has since graduated into one of the most lucrative and promising job avenues for many unemployed people out there. Bloggers are driving and owning expensive limousines courtesy of the remunerations generated by traffic and ads via AdSense. Article writers contribute articles online to numerous digital news sites at a fee. Broke campus students that I know have since joined thousands of others worldwide in writing academic papers to paying academic writing sites. It is a pity that most job seekers have never realized the value of time they are so eager to generously waste online commenting on some unimportant posts and updates. Rather than endlessly churn away the only asset they have, such Facebook and Twitter lovers should consider learning the robes as soon as last year. Most crucial is the indispensable worth of Google, Bing, Yahoo, and other search engines. Knowledge on how to find invaluable ‘niches’ via such search engines are crucial and key to finally hitting the jackpot online. Almost every single tiny bit of information one might deem essential is available courtesy of the internet. 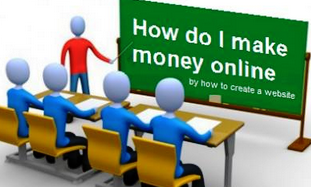 Your next money-maker is just a click away. All you need to do is consider making generous sacrifices as far as Twitting and Face-booking is concerned and set the record straight for once. Ask around, stretch your curiosity, hit that appropriate ‘niche’ via Google or any other search engine and start embracing the wonders of the internet.